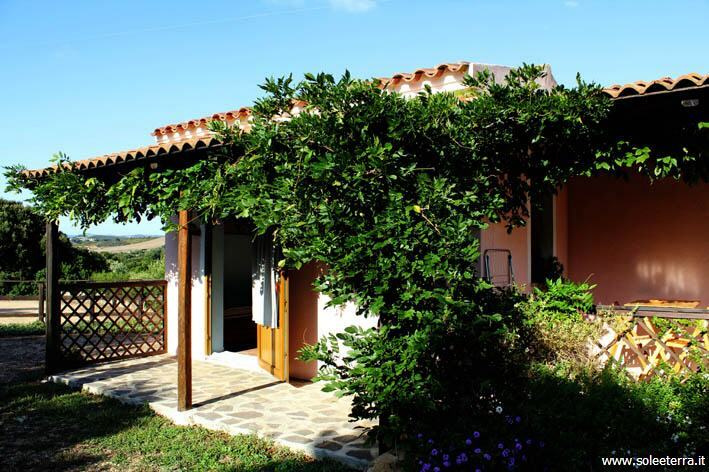 Enjoy Sardinia from its real site - at the organic farm Agriturismo Sole e Terra. A wonderful and varied landscape scenery around, majestic beaches and a lot of space to relax and enjoy a calm holiday. Sole e Terra is is located in quiet hills in the north west of the Sardinia, named Gallura, about 45 minutes drive from the airport Olbia, Costa Smeralda. The nearest villages are the pretty mountain village Luogosanto and the smaller village of Bassacutena. The most beautiful beaches of the North West area, between Santa Teresa Gallura and Costa Paradiso, as Lu Litarroni, Rena Majore and Rena Matteu you reach in just a few minutes drive by car or bicycle.